The sessions were a big success, so much so that they led to an even bigger course of sessions at Holystone Primary School that will see the creation of a second anthology of incredible work. So what better way to motivate ourselves and our pupils than to look back on the crowning achievement that led us here? Everything is still in development over at Holystone, but we'll be updating the blog with our progress when we reach certain milestones so check back soon to see what we've been up to. 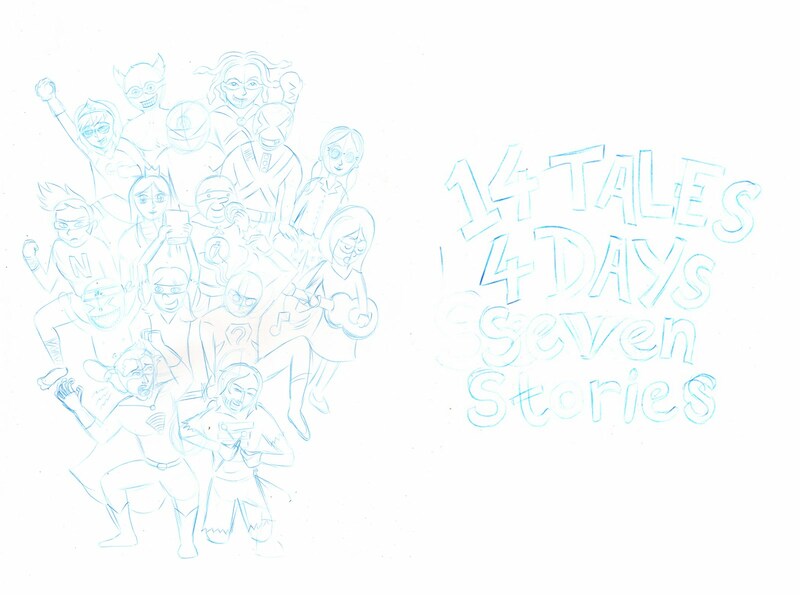 A big thanks again to Seven Stories for having us in June and to the young people for their excellent work! The reason we did this was because A) It's much fancier than writing our contact details down on paper and B) We'll be at the EGO Festival in Durham this weekend (Sun 27th Jun) and we're hoping to make some friends and do a bit of networking. If you happen to be in the area - or even if you're miles away! - please come by and say hello. We'll be very eager to put one of them in your hand. If the promise of a business card isn't enough, we'll also be running a drop-in session for most of the day so you can try your hand at some of our exciting workshop activities. Plus, there will be performances from Lunatics Youth Theatre, an 'alternative' fashion show, dance and live music as well as stalls displaying artists work and selling homemade clothing and accessories. We offer a range of workshops to suit your needs - whether you're aiming to inspire young people to read and write or you're just looking for a fun creative activity. 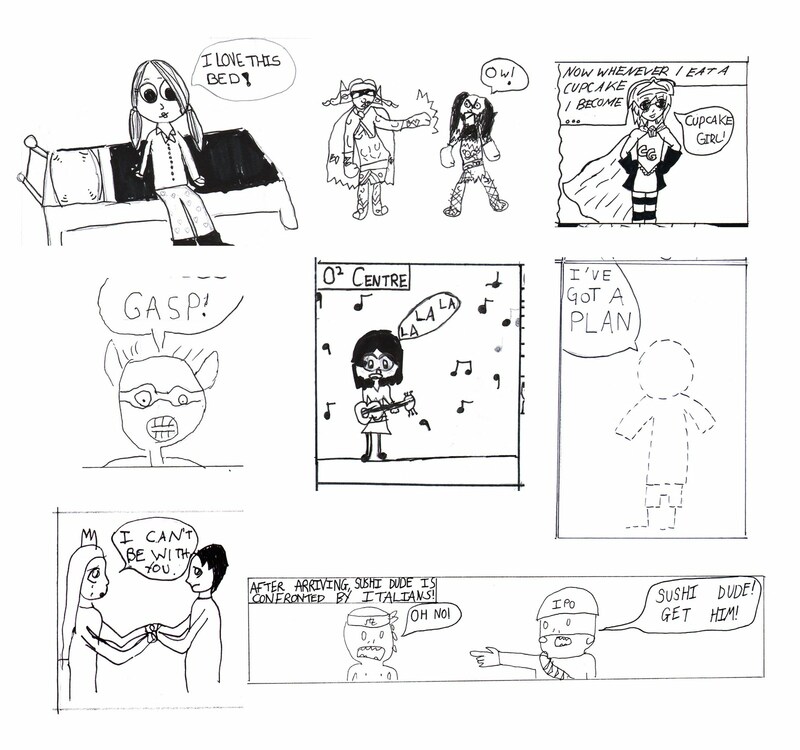 And don't forget, comics aren't just a fun learning resource for kids - previous workshops have been attended by everyone from toddlers to OAPS! 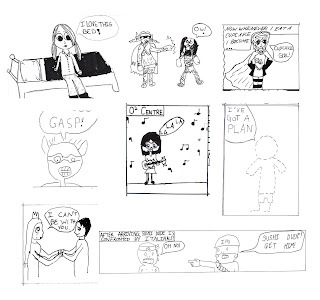 Tues 3rd, Mon 16th, Tues 17th & Tues 24th May - Wheatley Hill Primary's Comic Creation Collaboration Station! 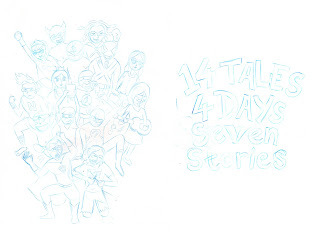 The group will be divided into small teams, each with their own particular talents and focuses, who will then bring each of their separate efforts together to form a finished comic. Writers, artists, letterers and production experts all aiming towards a common goal - make an awesome comic book! 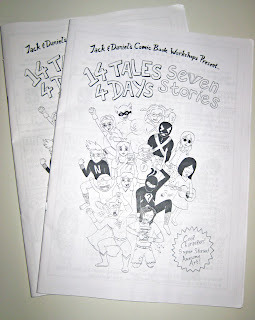 To mark the annual Free Comic Book Day, Newcastle City Library, Travelling Man and Jack and Daniel's Comic Book Workshops are working together to organise this special competition. 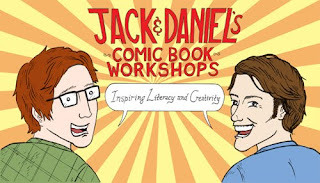 Jack and Daniel will be running a Quick Comics session as part of the school's Literacy Festival. 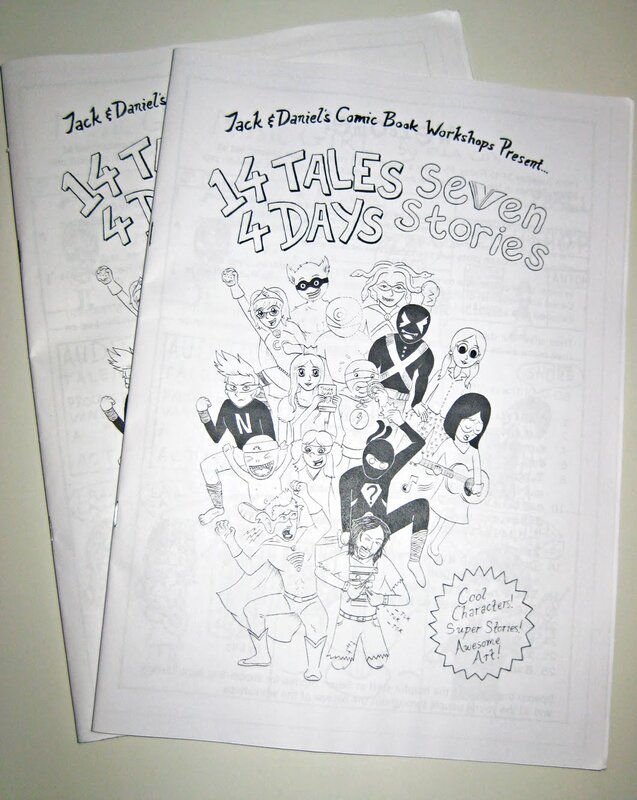 Jack & Daniel will be facilitating their trademark crash course in comic creation "Quick Comics" for the fine young people of Middlesborough! As part of their annual "Yellow Week", Jack & Daniel will be giving a seminar on the ins and outs of comic creation at Gosforth Academy. Drawing on the skills they have developed as self-published creators, they will cover everything from ideas to print and production before a Q&A session in case they missed anything!